The ability to analyse problematic situations, and develop appropriate and sustainable solutions is key to organisational performance and success. 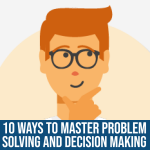 This problem solving training course is suitable for professionals whose roles demand sound decision-making in the face of a challenge. This course aims to increase your awareness of how to analyse problems that arise, and how to employ techniques to generate solutions. You will also be able to more effectively manage the implementation and monitoring of a solution, after a decision has been reached. And more could be learnt on a facilitator course. Extremely helpful course. Well paced, never felt bored. No topic felt redundant. Andrew was extremely friendly and engaging. Good level of interaction between presenter and us. I definitely feel more confident after today. Would recommend it to anyone. Below are some extracts from our Problem Solving / Decision Making manual. A problem can be a mystery, a puzzle, an unsettled matter, a situation requiring a solution, or an issue involving uncertainty. A problem is a gap between ideal and actual conditions. There are three ways to approach problems. You can stall or delay until a decision is no longer necessary, or until it has become an even greater problem. You can make a snap decision, off the top of your head, with little or no thinking or logic. You can use a professional approach and solve problems based on sound decision-making practices. This person's greatest strength lies in the practical application of ideas. A person with this style seems to do best in those situations where there is a single correct answer or solution to a question or problem and can focus on specific problems or situations. Research on this style of learning shows that Convergers are relatively unemotional, preferring to deal with things rather than people. They often choose to specialize in the physical sciences, engineering, and computer sciences. These people are the sceptics. They may say, “If this is such a brilliant idea, give me five steps for converting it into practice.” These are the people who can be paralyzed by analysis. They want to know how a particular concept can be applied. They are Edward DeBono’s black hat thinkers (which will we discuss more in a moment). Divergers have characteristics opposite to Convergers. Their greatest strengths lie in creativity and imaginative ability. 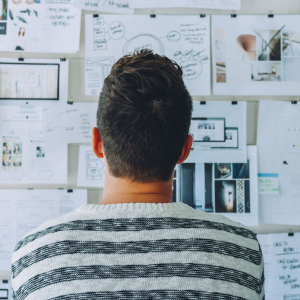 A person with this learning style excels in the ability to view concrete situations from many perspectives and generate many ideas in a brainstorming session. Research shows that Divergers are interested in people and tend to be imaginative and emotional. They tend to be interested in the arts and often have humanities or liberal arts backgrounds. Counsellors, organizational development specialists, and personnel managers tend to be characterized by this learning style. These people can take any given topic in several directions, come up with options in the blink of an eye, and put so many spins on any idea it will be almost unrecognizable once it is put into practice. No matter what assignment is given to them, they will change it in some way to make it theirs. They enjoy discussion as a way of generating more new ideas and options. This person's strength lies in the ability to understand and create theories. A person with this learning style excels in inductive reasoning and in synthesizing various ideas and observations into an integrated whole. This person, like the Converger, is less interested in people and more concerned with abstract concepts but is less concerned with the practical use of theories. For this person it is more important that the theory is logically sound and precise; in a situation where a theory or plan does not fit the facts, the Assimilator would be likely to disregard or re-examine the facts. As a result, this learning style is more characteristic of the basic sciences and mathematics rather than the applied sciences. Assimilators often choose careers involving research and planning. Accommodators are direct opposites form Assimilators. Their greatest strengths lie in carrying out plans and experiments and involving themselves in new experiences. They are risk-takers and excel in those situations requiring quick decisions and adaptations. In situations where a theory or plan does not fit the facts, they tend to discard it and try something else. They often solve problems in an intuitive trial and error manner, relying heavily on other people for information. They want to zoom right through the theory and spend no time on reflection and no time on analysis. They want to do the task or the activity, right or wrong, rather than exploring or discussing the idea fully first. You haven’t finished the introductions and the accommodators are halfway through the exercise. Everyone can pass through all four stages, but for most of us, we prefer one stage to all the others. Why do we need each stage? What do they contribute? As you work your way from problem to solution, you are actually shifting your focus. When you define a problem, you ask yourself: What is my problem? As you try to analyse the root causes you ask: Why is it a problem? When you are generating options, you ask yourself: What are some ways I can solve my problem? Here is a breakdown of each step in the problem identification process. In all three steps, your focus is on the problem itself. Only afterwards will you start thinking about solutions. You ask yourself: Is there a problem? Where is the problem? Whose problem is it? This is the sniffing, groping, grasping stage. It includes whatever you do to get a handle on the problem. What are the symptoms? Funny noises in the engine, an unhappy look on your employee’s face, or a change in the productivity rate? You’ve got to find out what the problem is. Problem perception is closely related to problem definition and problem analysis. To make it OK to discuss it (legitimize). To air different points of view. To get group agreement to work on the problem. Legitimise the problem; make it OK to discuss it. Identifying the best/worst/most probable situation. Identifying whose problem it is. Here, we state the problem as a question. Our goal is to grasp the general idea of the problem and then draw the rope tighter to get a more specific idea of the problem. What is the problem? What is not the problem? Draw a diagram if appropriate. Ask basic questions, such as who, what, where, when, why, and how. Break it down into smaller pieces. For example, if we know that the problem is that revenue is down, we can break it down into possible areas of cause: manufacturing, shipping, or sales. Use force field analysis. This is a structured method of looking at two opposing forces acting on a situation. Simply draw a line on a piece of paper. On one half of the line, list the forces that are working to solve the problem. On the other half, list the forces that are stopping you from solving the problem.